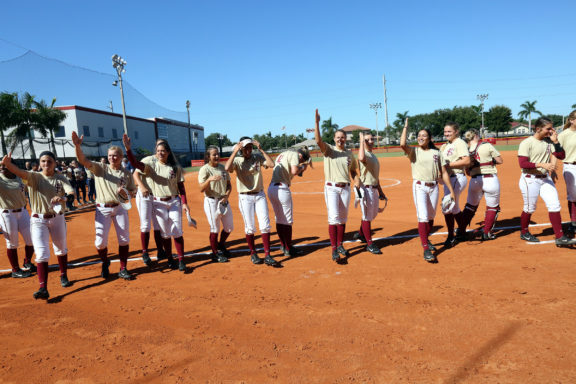 HOLLYWOOD —Before they joined their teammates for postgame pizza in the airnasium, Florida State University softball players Anna Shelnutt and Jessica Burroughs soaked up the final moments of the team’s trip to the Hollywood Reservation. 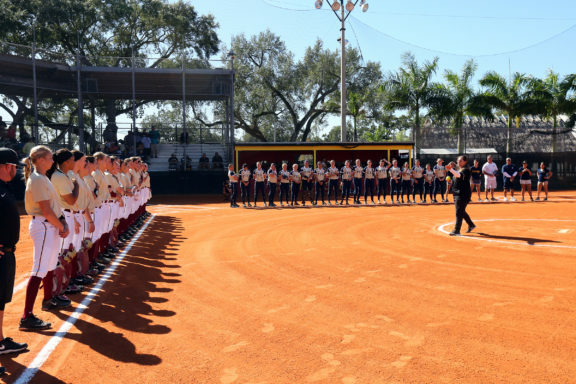 They realized that their fall exhibition game carried far greater significance than the final score. 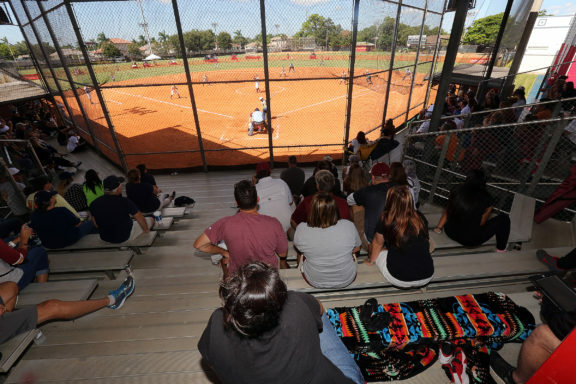 FSU had just walloped Florida International University in front of about 125 spectators who filled the grandstand at Osceola Park on Oct. 23. 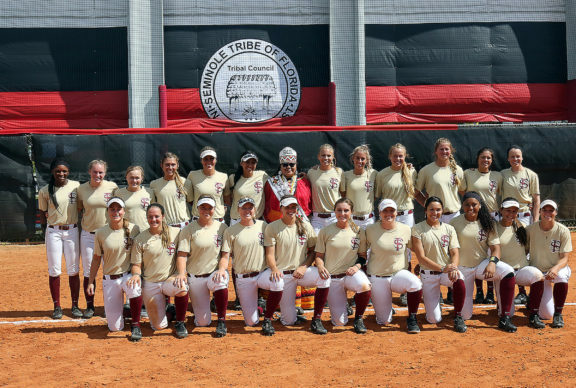 The final score – 14-0 – didn’t mean much compared to the historic moment that marked the first time a Florida State Seminoles sports team played a game on a Seminole reservation. 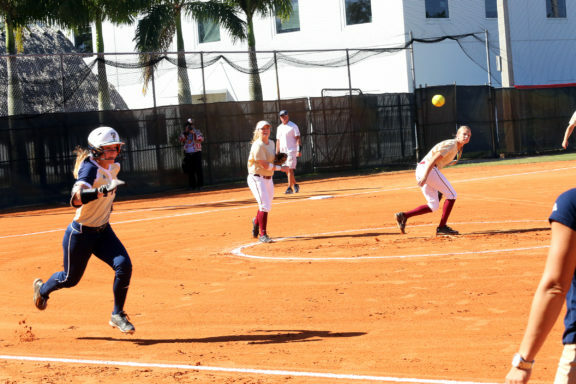 The team, which won the Atlantic Coast Conference and played in the Women’s College World Series last season, made the most of its two nights in Hollywood. 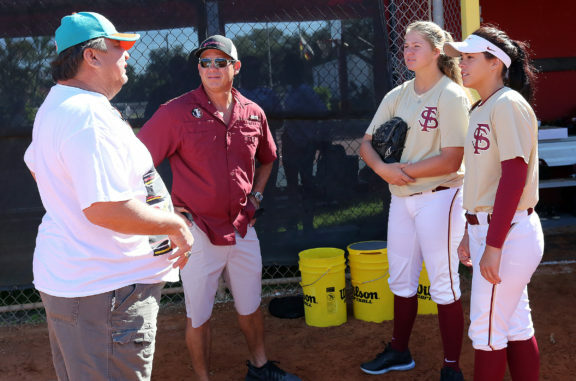 The Seminoles stayed at the Seminole Hard Rock Hotel & Casino, took batting practice at Osceola Park on the morning of Oct. 22 before defeating rival Florida in Plantation, and learned about the Tribe and its history through chats with Hollywood Councilman Chris Osceola, Hollywood Board Rep. Steve Osceola, Jr. Miss Florida Seminole Thomlynn Billie and Ollie Wareham. 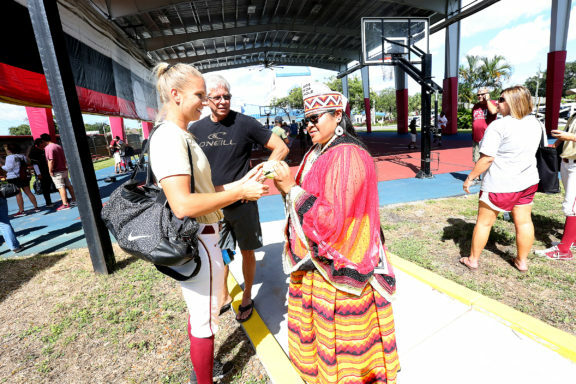 Alameda said the idea for playing a game on the reservation came about through her conversations with Tribal members Doug Zepeda and Wareham. 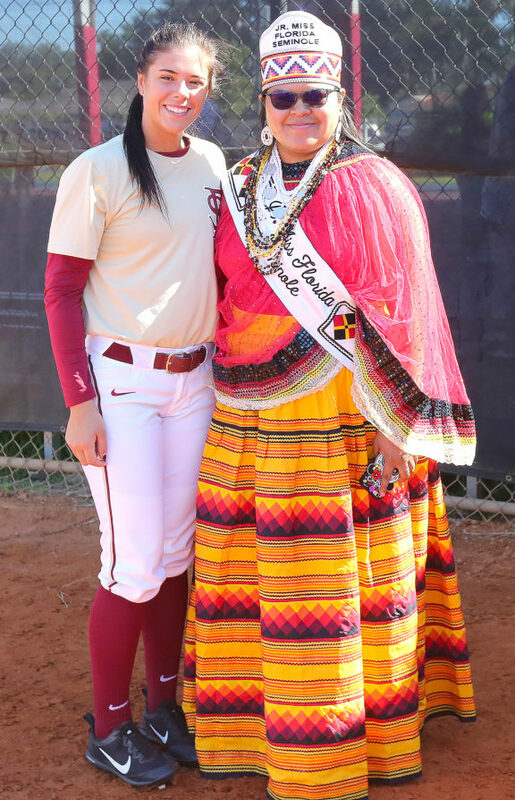 “I thought it would be really cool to educate the girls a little bit about the Seminole Tribe. 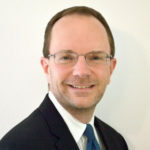 [Ollie] said ‘we have a field down here,’” Alameda said. 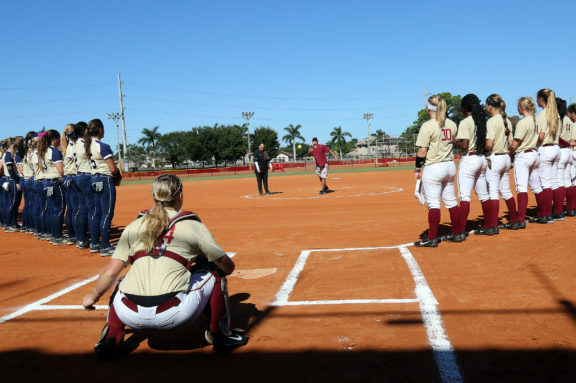 Alameda joined Councilman Osceola in the pitcher’s circle for the ceremonial first pitch. 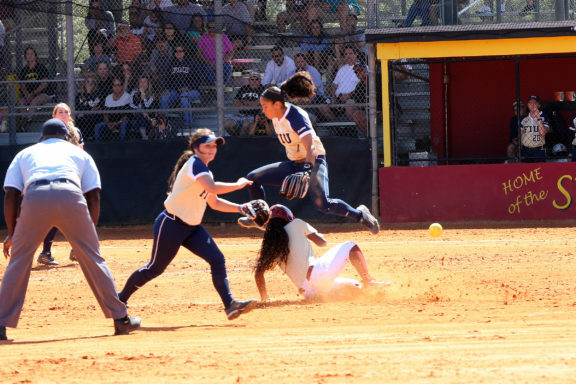 With FSU players lined up on the first base line and FIU on the third base line, Councilman Osceola delivered a strike to catcher Sydney Broderick. 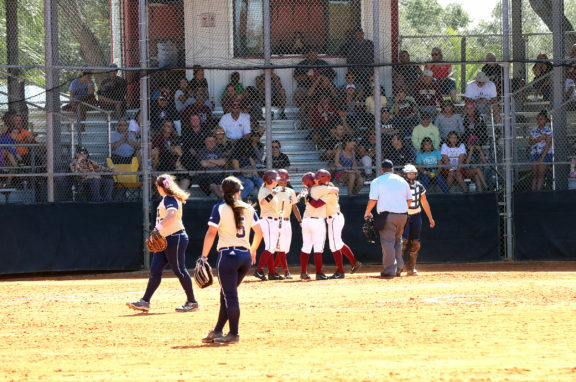 The teams started the game without umpires. 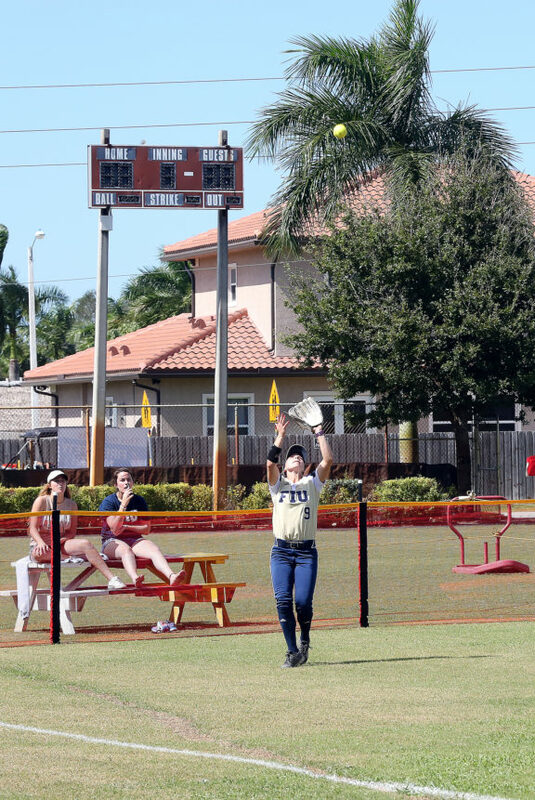 The first inning was played on the honor system. 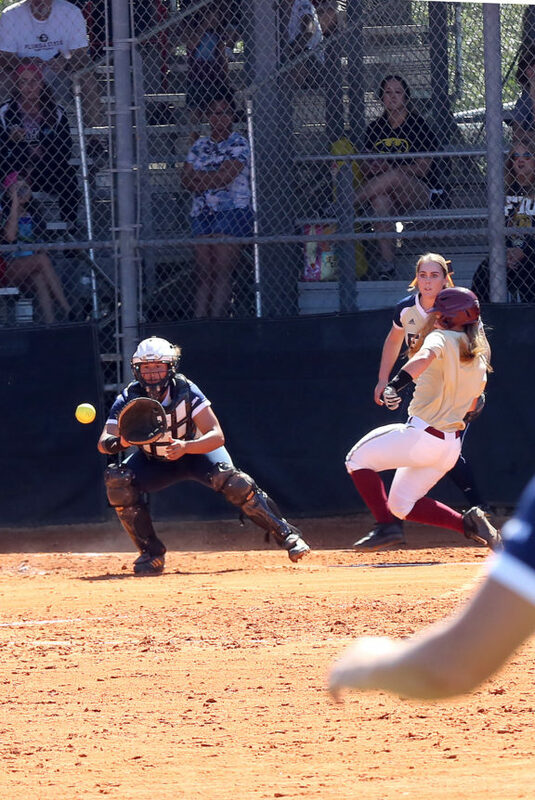 At one point, FSU batter Carsyn Gordon checked with the FIU catcher to confirm the count. 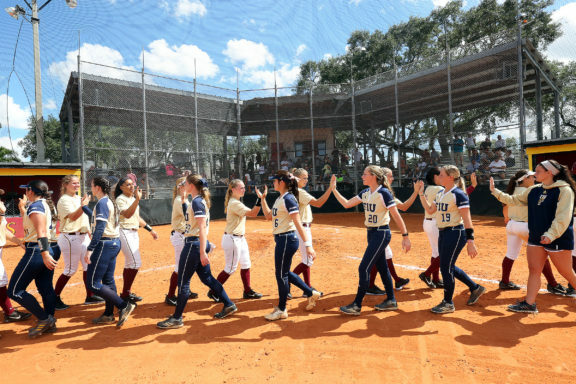 By the time the umpires arrived at the start of the second inning, FIU’s Stephanie Texeira had already notched the game’s first hit – a double – and FSU slugger Alex Powers belted the first of her two home runs, a two-run shot over a temporary outfield fence in right-center field. 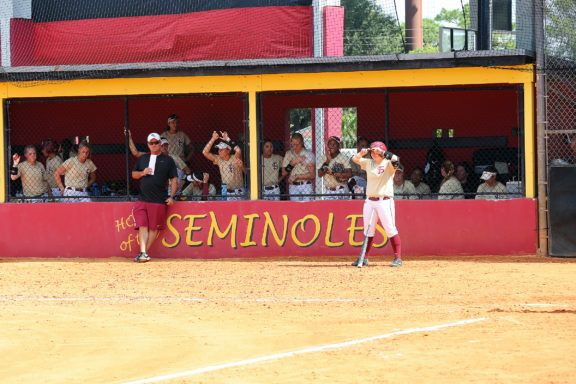 Powers delivered a three-run shot in the fifth that gave FSU at 6-0 lead. 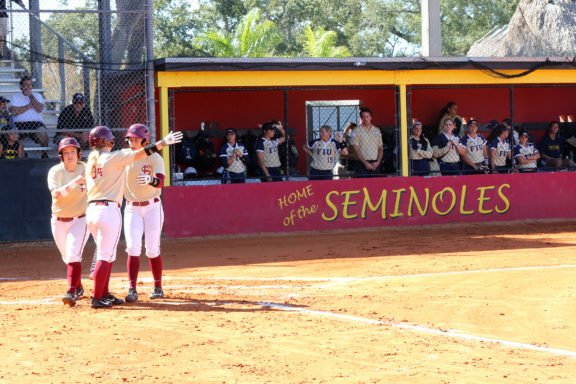 A grand slam from Sabrina Stutsman in the seventh stamped an exclamation point on a victorious and educational weekend for the Seminoles. 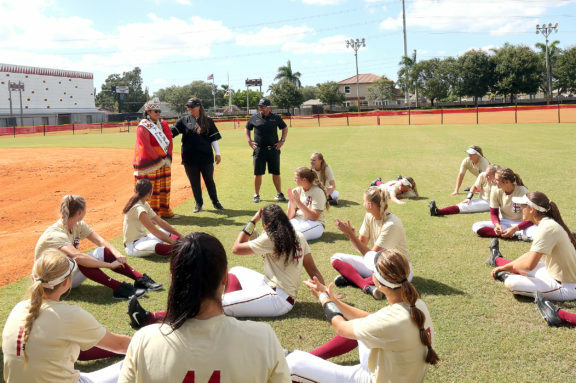 After the victory the Seminoles gathered in right field and received a brief postgame talk from Thomlynn before the players gathered for a photo with the Jr. Miss Florida Seminole. 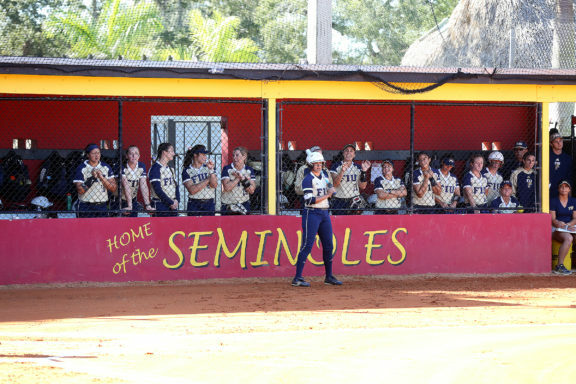 Thomlynn then sought as many of the players’ autographs as she could get on a softball. 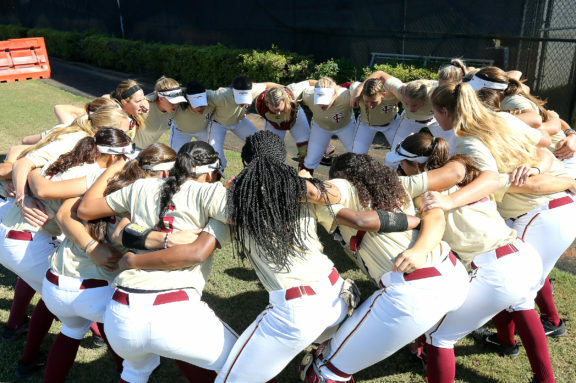 As for the upcoming season that starts in February, FSU will try to defend the ACC title and take another shot at winning a national championship. 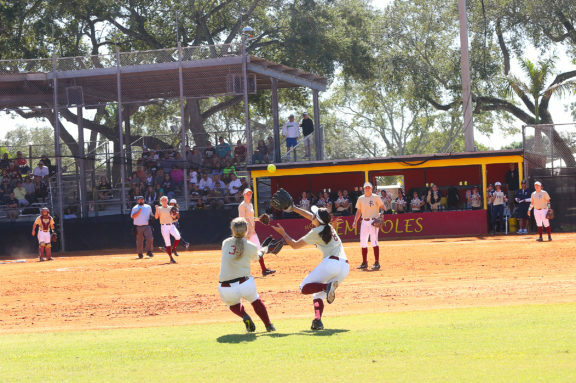 Last season the Seminoles won a couple games at the World Series but were narrowly ousted with a pair of one-run losses. They are eager to return.